Dimitri Vegas & Like Mike recently revealed their new collaboration with US hip-hop star Ne-Yo, but even prior to its official release on Monday, the track has made Shazam’s Top 100 most popular tracks chart. Now, the follow up record to their recent track, ‘The Hum’, has a remix by Dutch duo Bassjackers, available for free to anyone who Shazam’s the original. 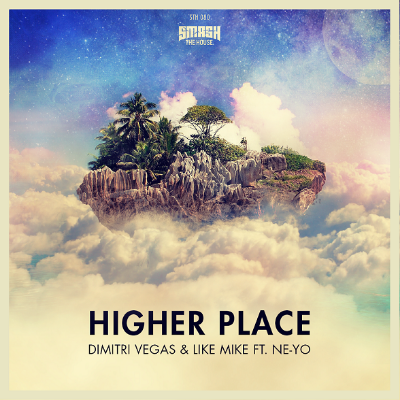 Premiered at this year EDC Las Vegas, with the Grammy-award winning Ne-Yo joining the duo live on-stage, ‘Higher Place’ has become popular due to its cross genre appeal. With Bassjackers injecting a fresh dose of energy into Ne-Yo’s R&B top-lines and the duo’s production skills, the track may be set to be one of their biggest tracks yet. With a busy summer of live events ahead of them, including headline shows at Tomorrowland - on both the festival’s main stage and their own Smash The House arena - and their continued shows at Amnesia Ibiza with their House of Madness events, where they have also just been nominated in the island’s 2015 DJ Awards in both the Electro/Progressive House and International DJ categories, the Belgian brothers success looks set to continue.